Living room opens onto deck. Views to beach. Newly remodeled kitchen and new dinette addition. Spacious living room and kitchen area. First floor bedroom #1 with queen size bed. First floor bedroom #2 with queen size bed. Upstairs bedroom #1 with two twin beds and crib. Upstairs bedroom #2 with four twin beds. 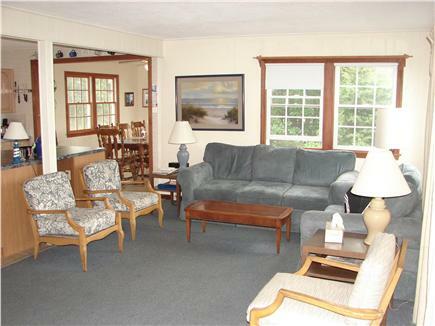 Charming Cape Cod house within a 5 minute walking distance to the private beach. Large enough to accommodate two families. Large deck overlooks nature preserve. 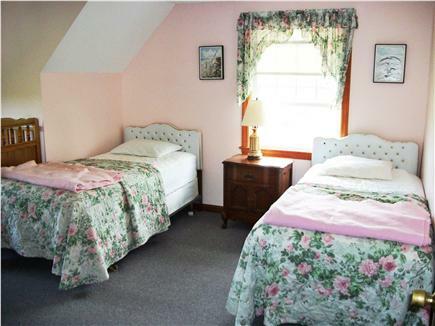 Located close to many wonderful restaurants, golf courses, miniature golf, go-carts, and the best ice cream on Cape Cod. We rent to families only. No singles please. No pets. No smoking on the property. We do not supply sheets, towels or dish towels. Additional pricing info: Security deposit required $100. State and local taxes of 12.45% will apply. We stayed here the week of August 22nd, 2015. I looked at many places on line and this one was my favorite. Love the open floor plan. Plenty of room for everyone. Downstairs, two bedrooms with a queen bed in each room, open living room, kitchen, huge island and dining room plus a full bath. Lots of light and windows to capture the sea breeze. 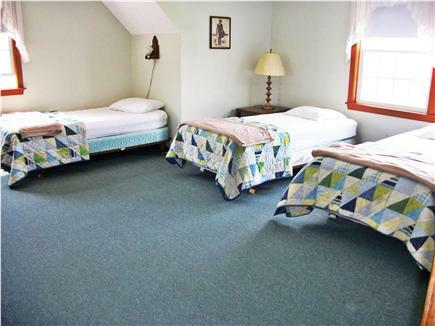 The upstairs bedroom with 4 twin beds is huge with another bedroom with two twin beds and a crib and a full bath. Good size deck and an outdoor shower. Plus plenty of parking. Short walk to beach but we did West Dennis Beach (only because it was very hot and humid when we were there) which is a 3 minute drive. Stickers are available at the town hall, which is off the highway and is open weekends. 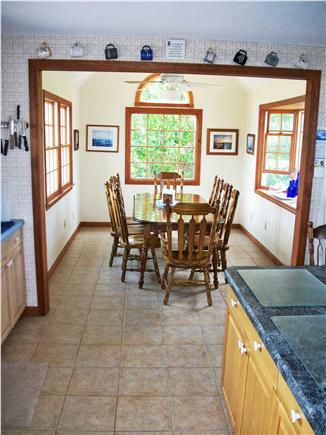 This has been our favorite cottage in West Dennis... A short walk to the beach with lots of privacy and space. The house is nicely laid out for a large gathering of friends and family. It's always clean and well appointed. There's a great outdoor shower and a lovely deck to enjoy a glass of wine watching the sun set after a day on the beach. Just perfect! 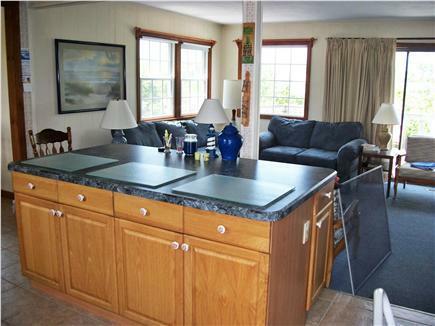 A spacious and well-maintained vacation home with all the amenities. Open floor plan and large deck. Kitchen has all amenities. Easy walk to beach. Extended family has been coming here for 15 years. We've been renting this cottage for 4 years now....it's lovely. 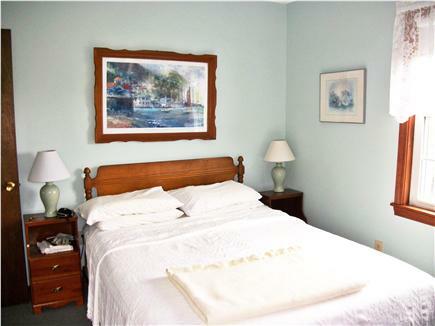 An easy walk to the beach, very spacious cottage and well appointed...and the owner makes improvements every year. We've never been disappointed! Beautiful views from the deck too! 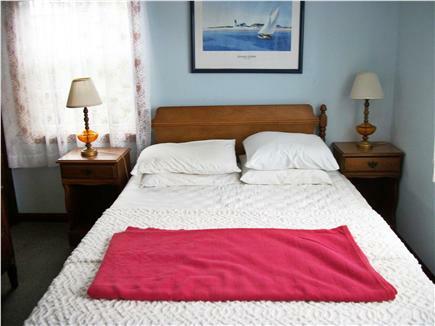 This is a large, comfortable house on a cul de sac with an easy, short walk to the beach. We love the fully-equipped kitchen and the washer and dryer. There is plenty of space inside for the 10 of us, and the deck is very large too. Three generations of my family have vacationed here together for the past 12 years, and we will be back again this year, too! We have rented this house for the last four years and they have been fantastic. It is a very spacious house with a well stocked kitchen. The deck is our favorite part of the cottage, great views and always a beautiful breeze. Two full baths and the outdoor shower make it easy for our big family to get ready. Easy walk to a beautiful beach. Our family has been going to Cape Cod since 1963 when we built two duplex houses on Windward Road. In 1978, we built this 2 story home on Murphy Road. Building this house was a family affair as everyone had a hand in the construction from nailing on the singles to painting the rooms. We have made a few upgrades since then and hope you enjoy staying at our home. The property overlooks the salt water marsh with a view all the way to the ocean. You can enjoy the nice breeze from the ocean on the large back deck. There is no need for air conditioning due to the breeze. Included are a dishwasher, laundry washer and dryer and two full bathrooms. There is a semi private beach within walking distance included with the rental. No beach fees! This beach is shared by several neighboring streets. The beach is on the Nantucket Sound so the water is warm and calm – safe for young children. We have 6 families who return every year to our house. Dennis’ central location makes it the perfect location for exploring the Cape. The town of Dennis has much to offer. If you need a break from lounging on the beach, there are myriad activities and destinations. For families there is miniature golf, go-karts, kayak rentals on the Swan River, a fantastic biking trail on the Cape Cod Rail Trail. For adults, several nearby golf courses, the Cape Cod Playhouse and a short drive to beautiful Chatham in one direction and Hyannis in the other direction. There are many restaurants in the area including the best ice cream on Cape Cod.